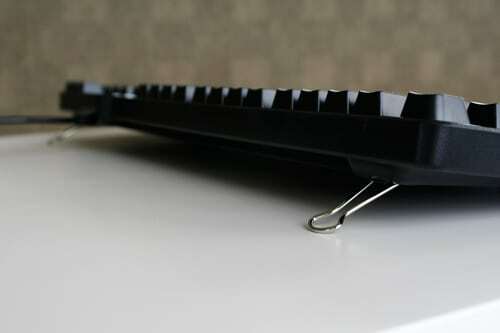 Binder clips are a mainstay for any office, desk, or workspace. In their basic use, they are very useful in organizing and holding papers together. But, did you know there are numerous uses for the binder clip that exceed far beyond the confines of the office? 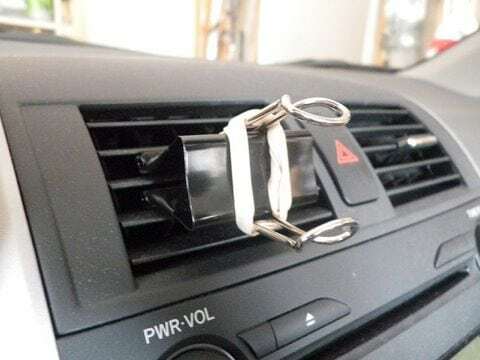 We’re sharing 40 ingenious ways to use the binder clip, that will make your life so much easier. 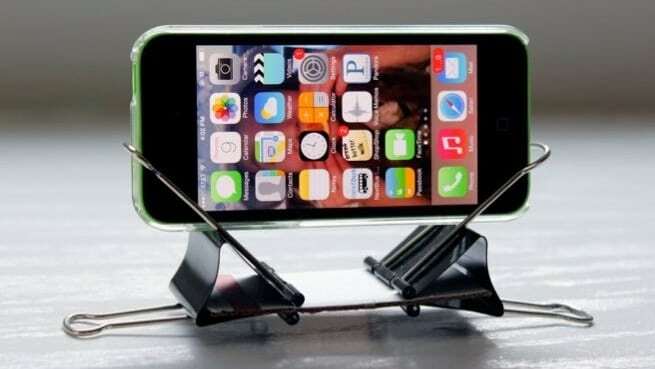 Using a couple binder clips, construct a makeshift phone stand. This is a great way to watch something on your phone without having to hold the device in your hand. Having a bad hair day? No worries! 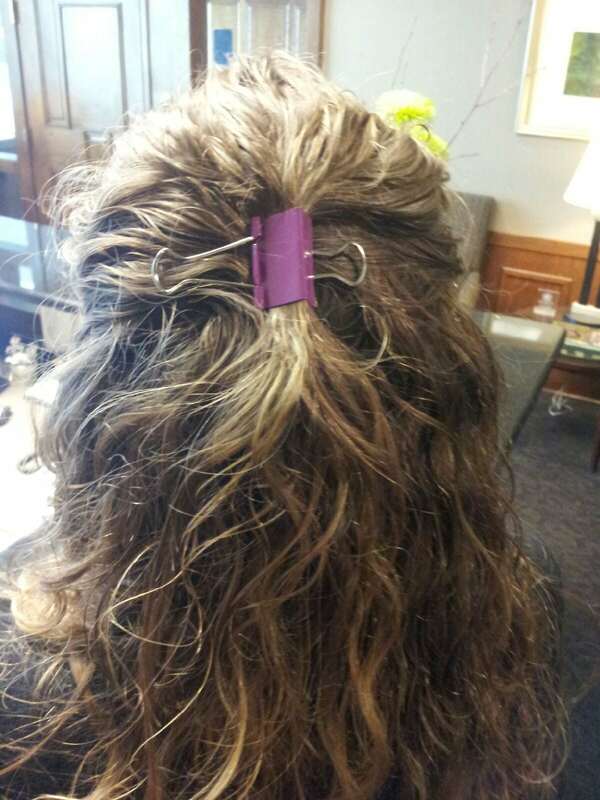 Reach for a binder clip and place into hair, styling as you please. Missing a button? No problem! Opt for a binder clip as a quick fix to the fashion faux pas. Razorblades are undoubtedly sharp. 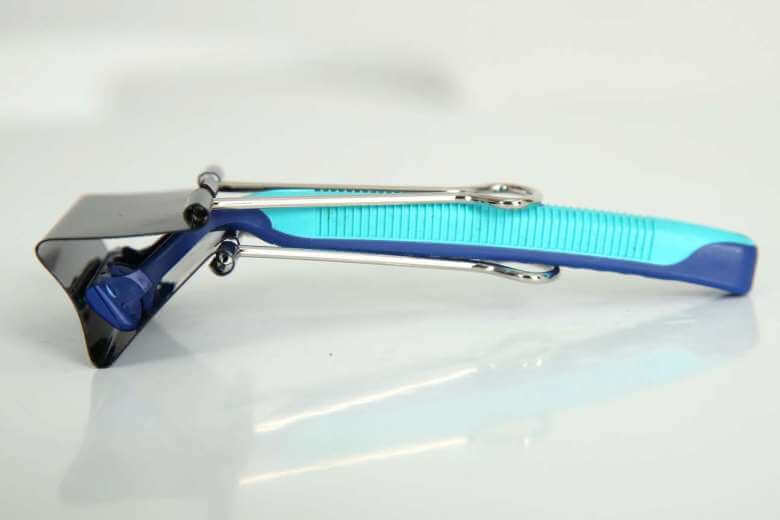 Protect exposed razors by covering them with a binder clip. This is great for traveling as well. The last thing you want when ironing is to add more wrinkles to the garmet. 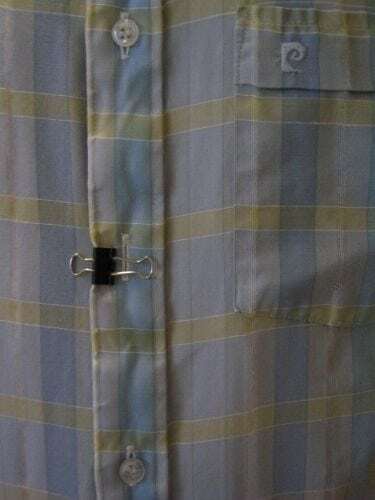 Iron with ease by using binder clips to clasp the ends of trousers or shirts, ensuring a clean, straight line. Socks always seem to go missing. 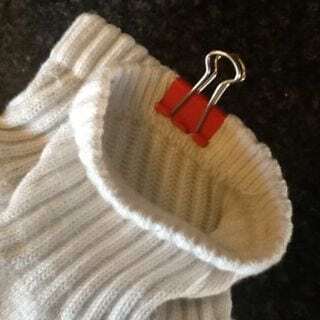 Keep socks paired using a binder clip. You’re sure to never lose a sock again! With kids comes toys, and many of them. 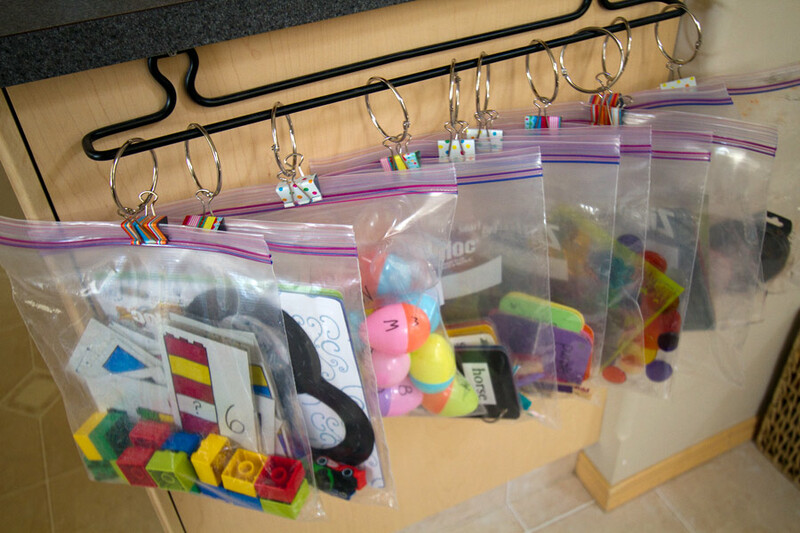 Collect small toys and organize them into plastic bags and binder clips. 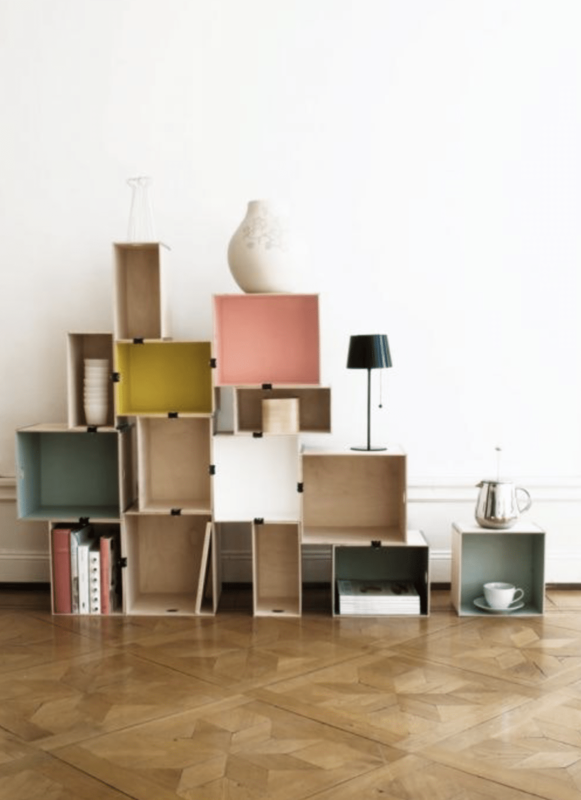 This is a great way to declutter your space! 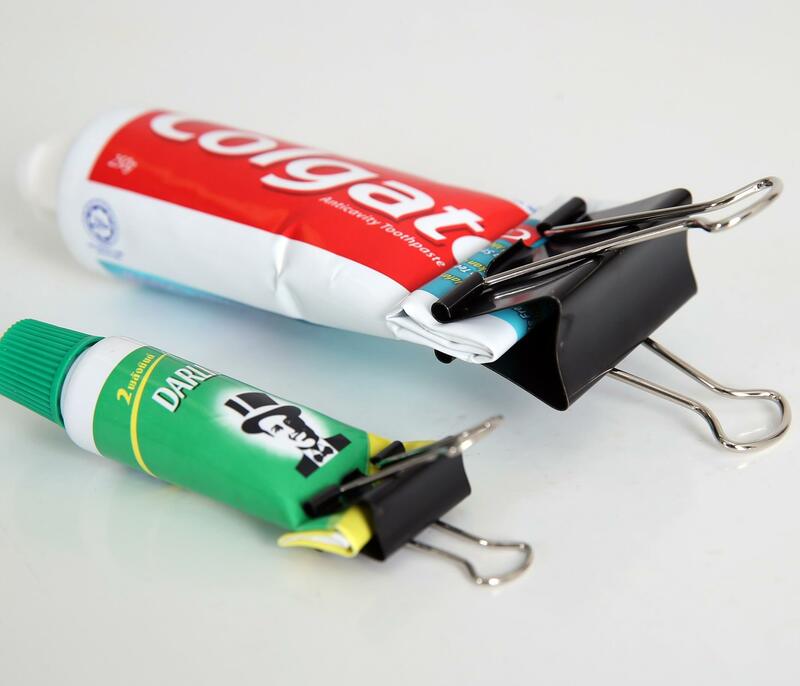 Squeeze every last drop out of your toothpaste, or any other tube, using a binder clip. Simply roll the empty tube and clasp it with the clip. This technique pushes all the paste forward, maximizing the product. 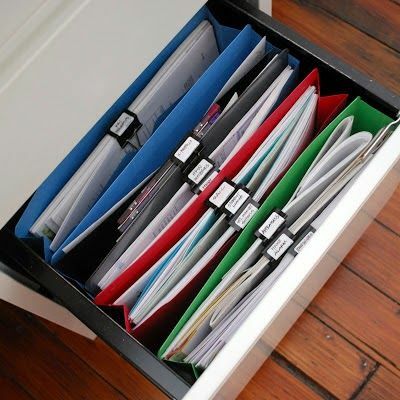 Easily pull folders for clients or projects using binder clips. Hands-free is the way to be. Drive safely, and not distracted, by crafting a cell phone car mount. Safety first! There’s no denying that earbuds are constantly getting tangled up. 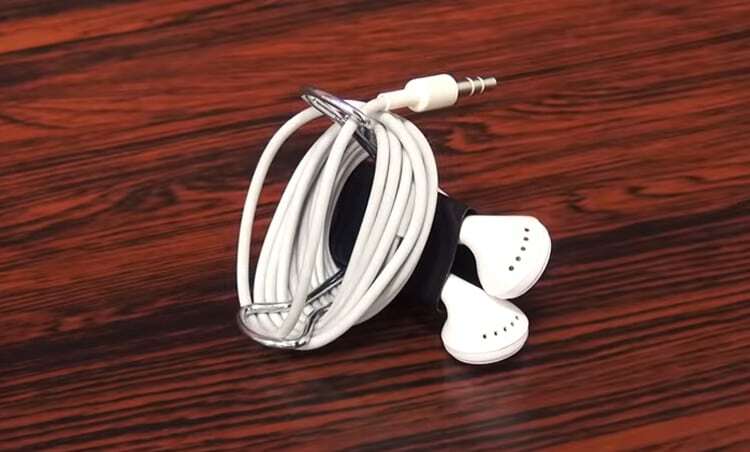 Use a binder clip to clasp earbuds, keeping long wires organized and ready to use. 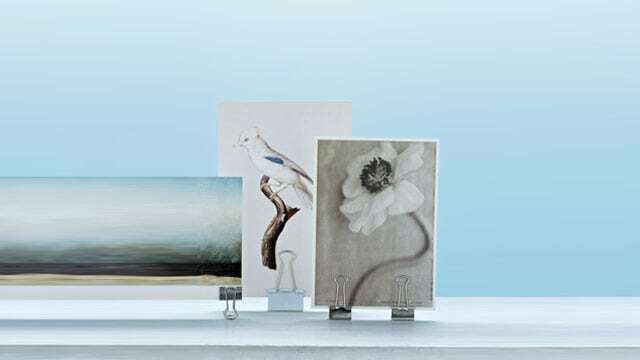 Craft frameless photos using binder clips. It’s not only economical, but also makes pictures easily interchangeable. 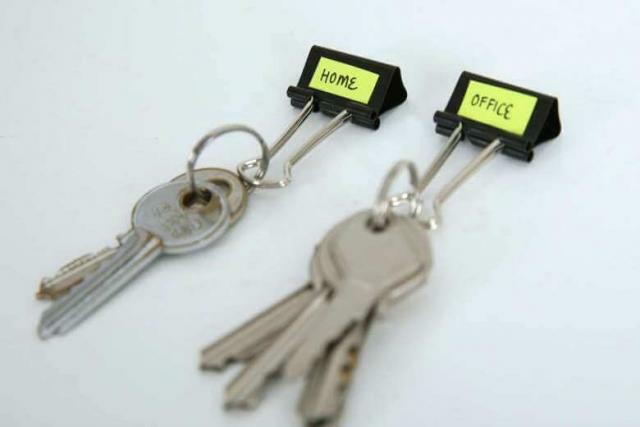 Repurpose a binder clip as a keychain for your home, office, or both. This is a super easy DIY, and it’s one of a kind. Many times, sponges are left laying on contaminated sink counters. 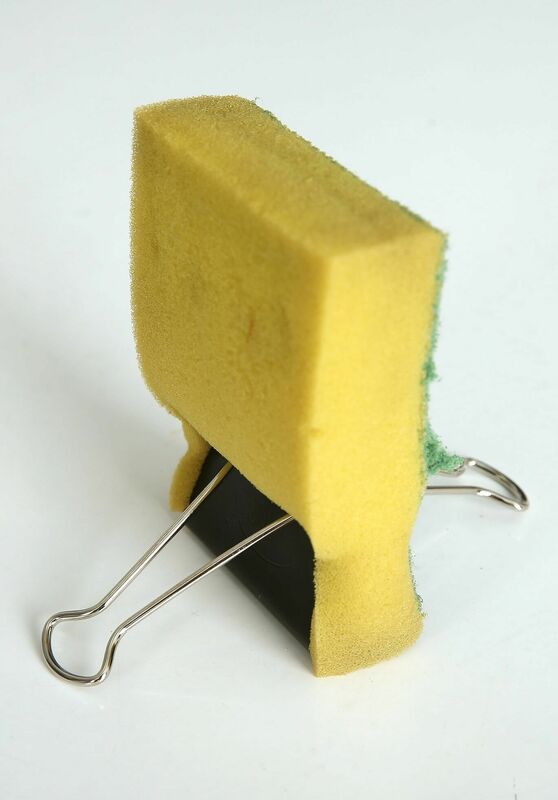 Keep sponges dry and sanitary by using a binder clip to hold the sponge upright. Happy cleaning! 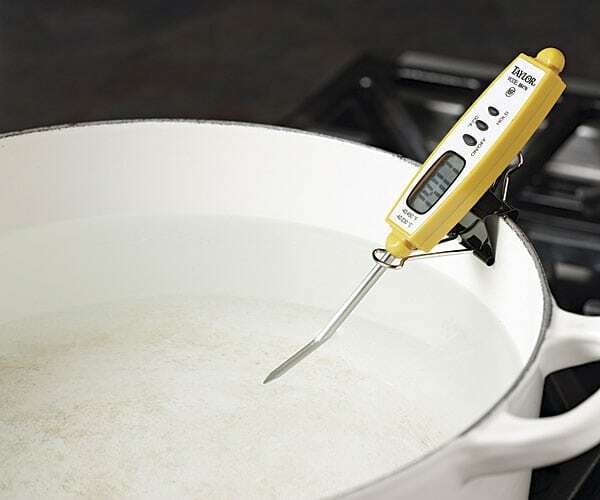 Waiting for the right temperature can take some time. Cook like a professional by using a binder clip to hold a food thermometer, while attending the rest of the meal. In cooking, and life, timing is everything! 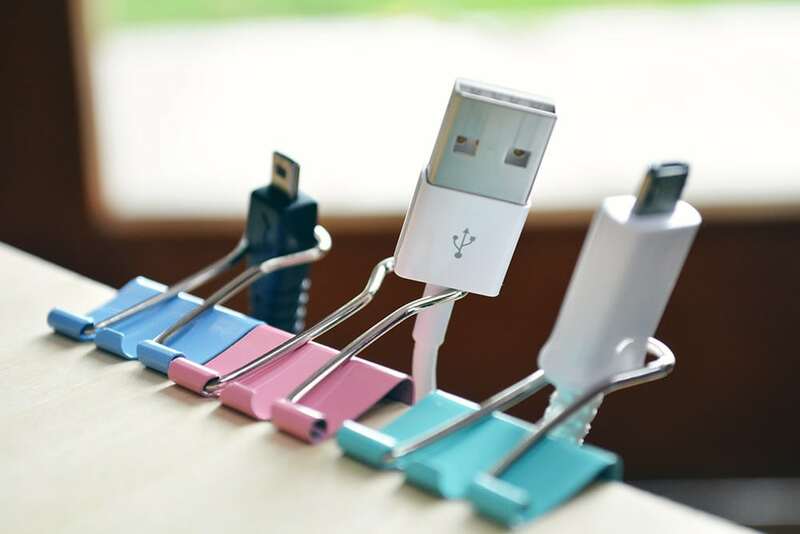 Keep tech cords organized by using binder clips. This isn’t only neat, it also keeps wires in good condition. Super cool! 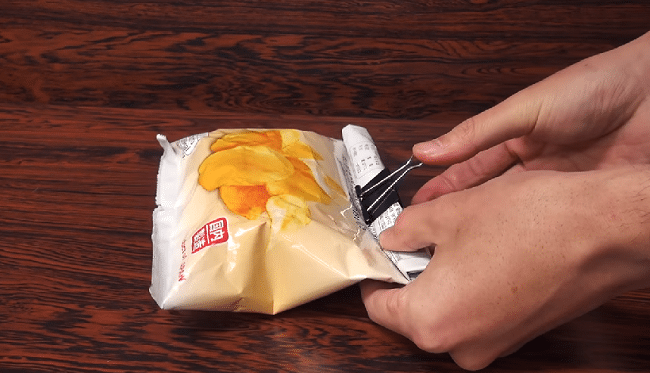 Keep chips fresh by using a binder clip to seal them closed. This is perfect for summertime barbecues as well. 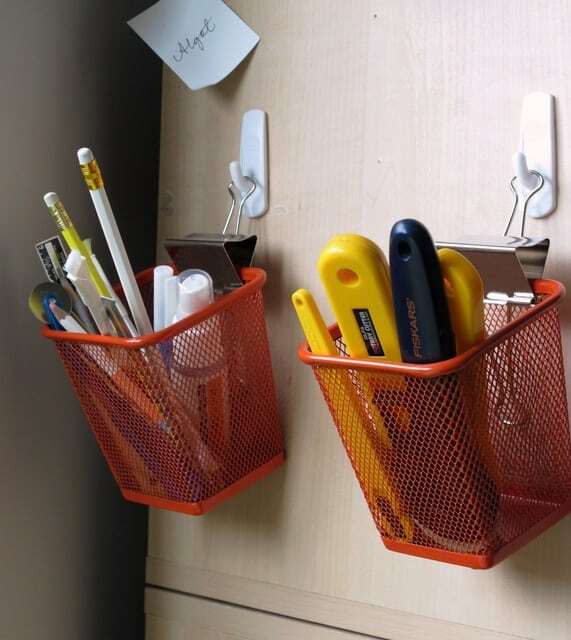 Free up desk space at this office by using binder clips to place on hooks. Super modern! The holidays are busy enough! 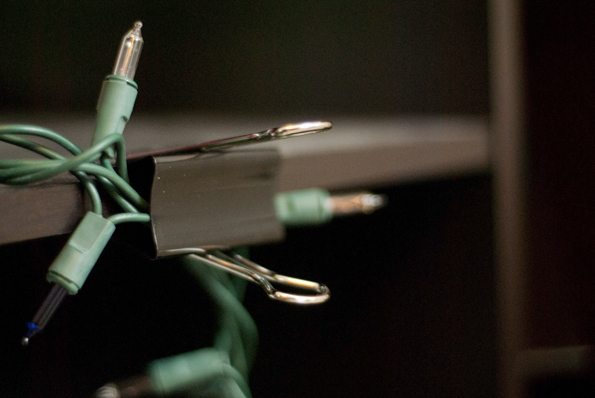 Make your to-do list a little lighter by using binder clips to help hang holiday lights. Tablecloths don’t stand a chance against the wind. 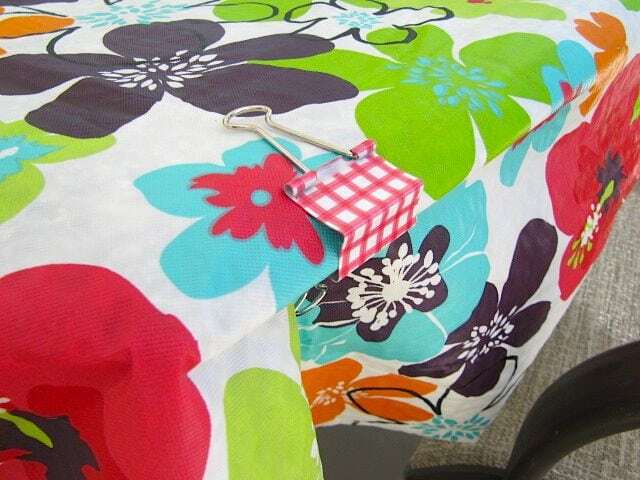 Use binder clips to keep the party going and keep the tablecloth in its place. There’s nothing like a warm cup of tea. 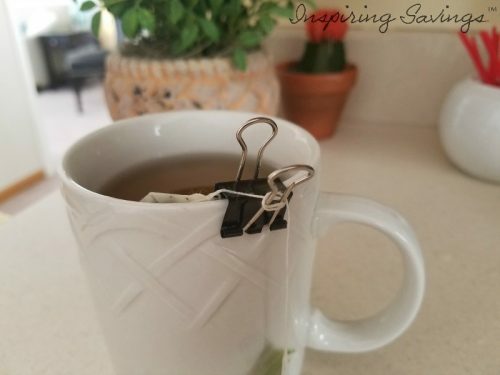 Ensure your cup is caffeinated by using a binder clip. Keep napkins sorted using binder clips. How simple! Just moving in? Build your own custom storage space, keeping boxes together with binder clips. Plus, you can easily add more as you go. Tired of a bulky wallet? 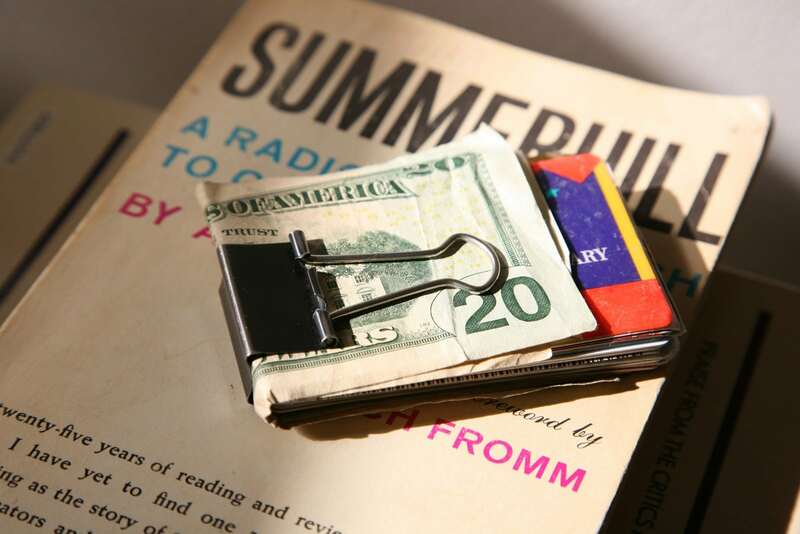 Use a binder clip to make a slim and economical money clip. Include cash and cards that you can easily slide it into your pocket. 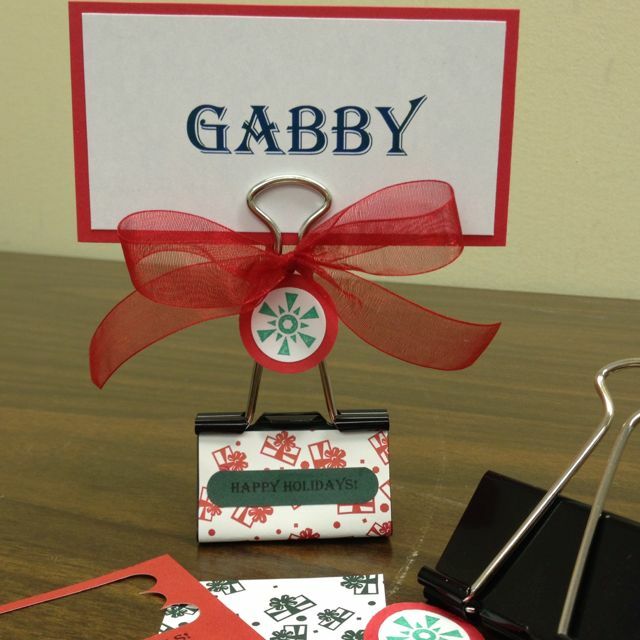 Craft a personalized name plate using a binder clip. This is a, both, thoughtful and economical gift to give someone. Decorate to their preference. Freezer space always seems to be limited. 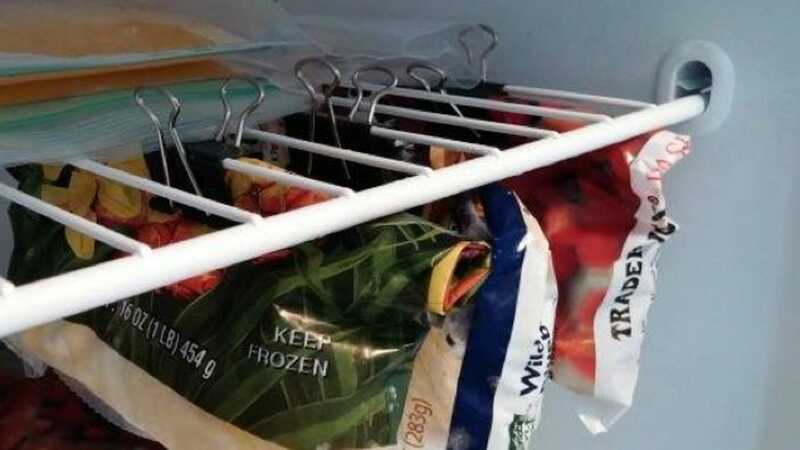 To maximize space, place binder clips inside the freezer to hang frozen food packages. Neat and efficient! 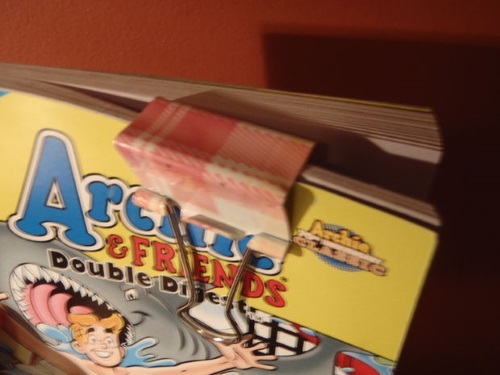 Mark your book using a binder clip. Simple, yet genius. 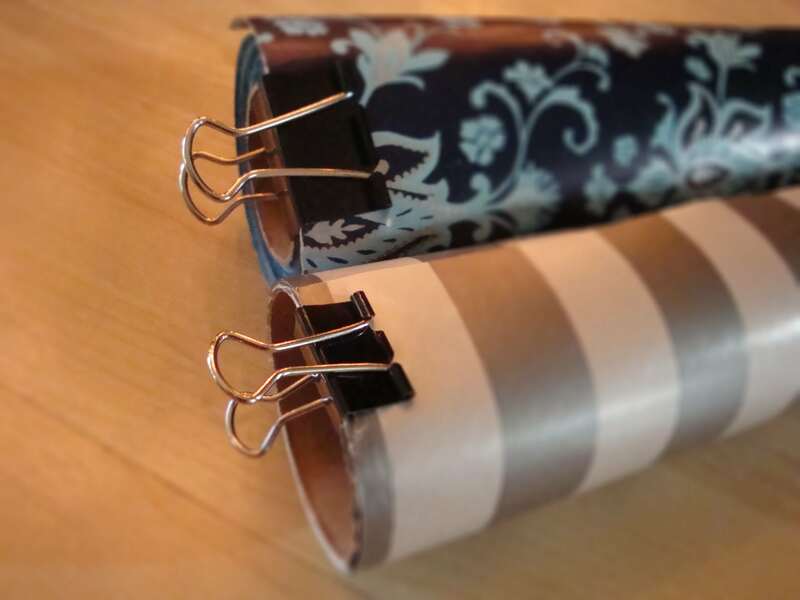 Forget sticky tape and prevent wrapping paper from unraveling by clasping the end with a binder clip. Lost a cuff link? 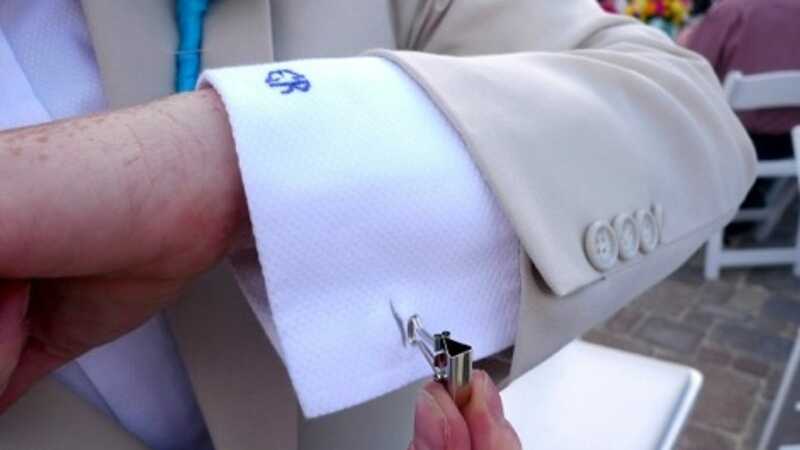 Grab a binder clip and use it as an emergency cufflink. Just make sure it doesn’t show in too many pictures! 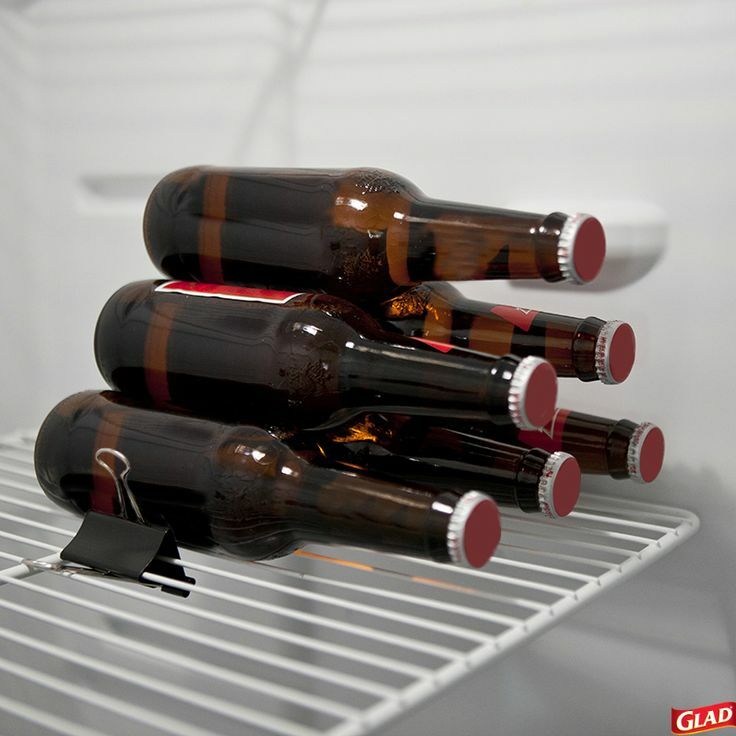 It’s always difficult to lay glass bottles down in the fridge. 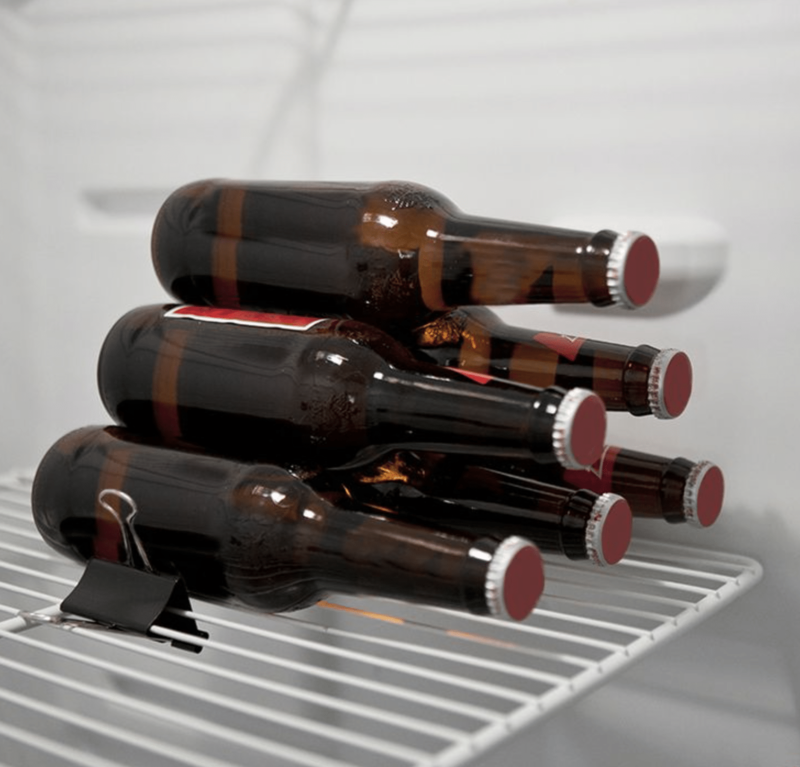 Prevent bottles from rolling around by simply using a binder clip. Stack and enjoy! 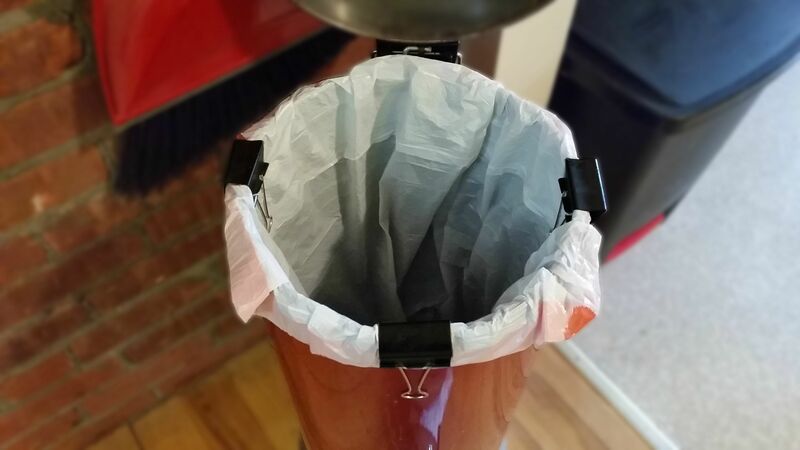 Keep trash bags in place by using a binder clip. This works astonishingly well! Need a little boost? Prop the computer keyboard up a bit by using binder clips. This helps your wrists and fingers when typing. Love to knit or know someone who does? 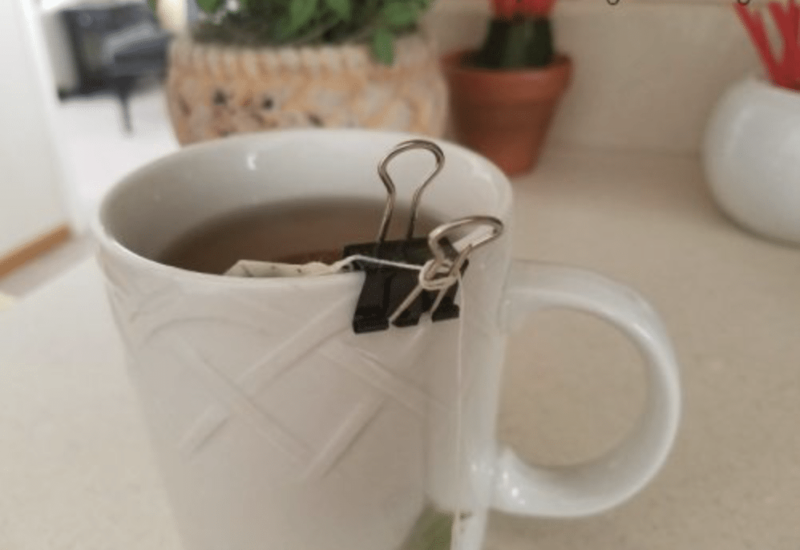 Share this awesome use of a binder clip! 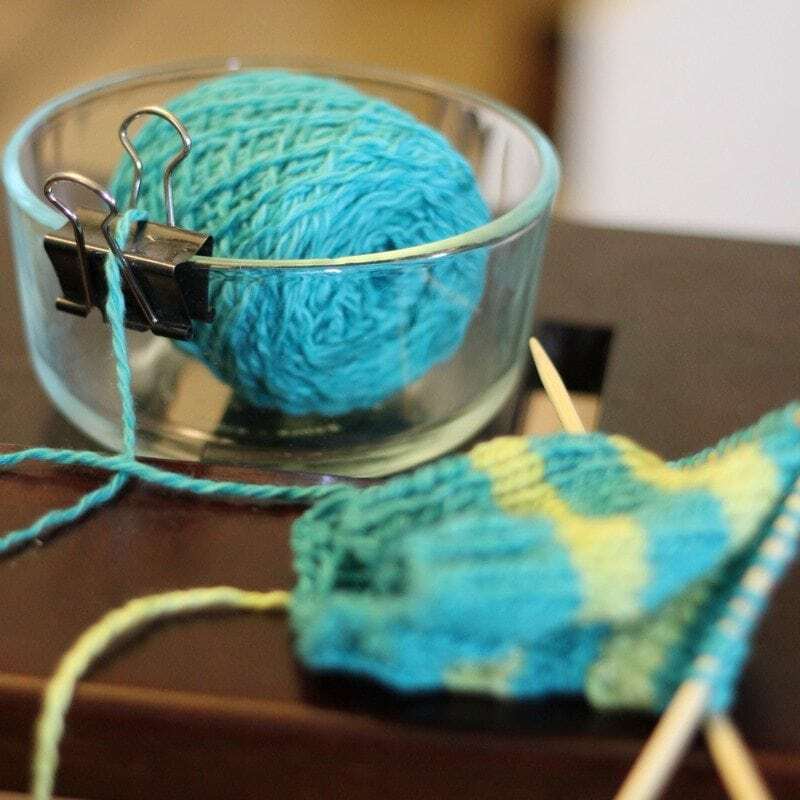 Create a yarn bowl by placing a binder clip on the rim of a bowl, feeding yarn through the clip. Where do dishwashing gloves go when they’re not in use? No one truly knows! 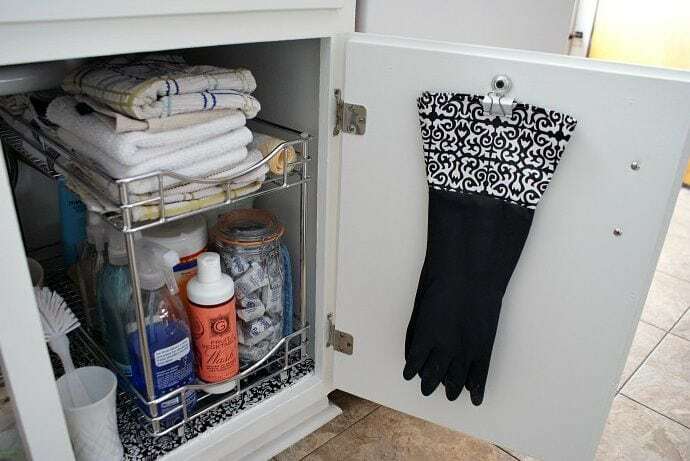 Hang dishwashing gloves under the sink using a binder clip. Have a lot of guests and a mix up of glasses? 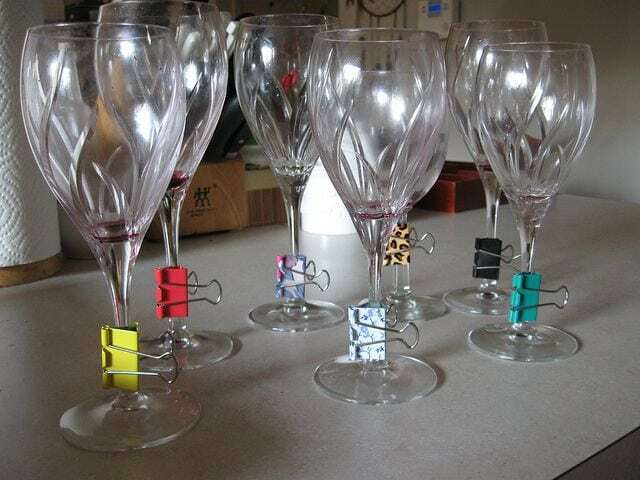 Use binder clips as party charmers and a way to differentiate drinks. Otherwise, party on. Pants seem to always slip off the hanger. 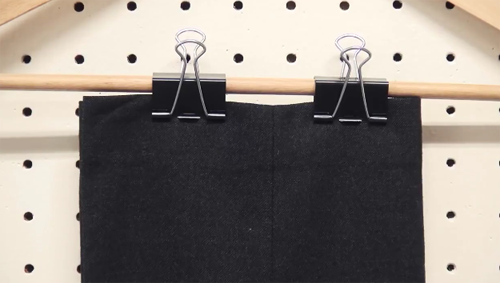 Hang pants effectively by using binder clips. Packing to travel can get tricky. 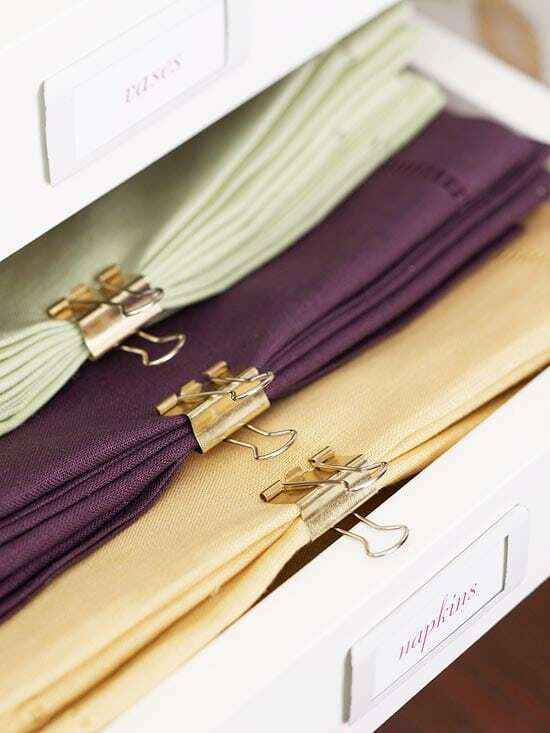 Stay organized when on the go using binder clips. This is organized and TSA friendly.